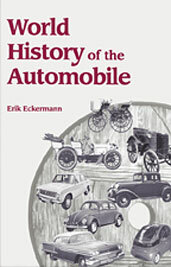 This book details the development of the automobile from its early beginnings to the present day. With emphasis on the European historical perspective, particularly the pioneering developments which occurred in Germany, World History of the Automobile chronicles the early vehicles by Daimler, Maybach and Benz, the "Mercedes Era," the role of motor vehicles in World Wars I and II, and the numerous technological and business revolutions of the second half of the 20th century. If you do not have access to SAE MOBILUS via username/password or institutional access, you can still purchase the Book, World History of the Automobile.